Can’t believe it’s been 13 years! Reserve your FREE seat today by contacting Desiree Watson via email in photo. 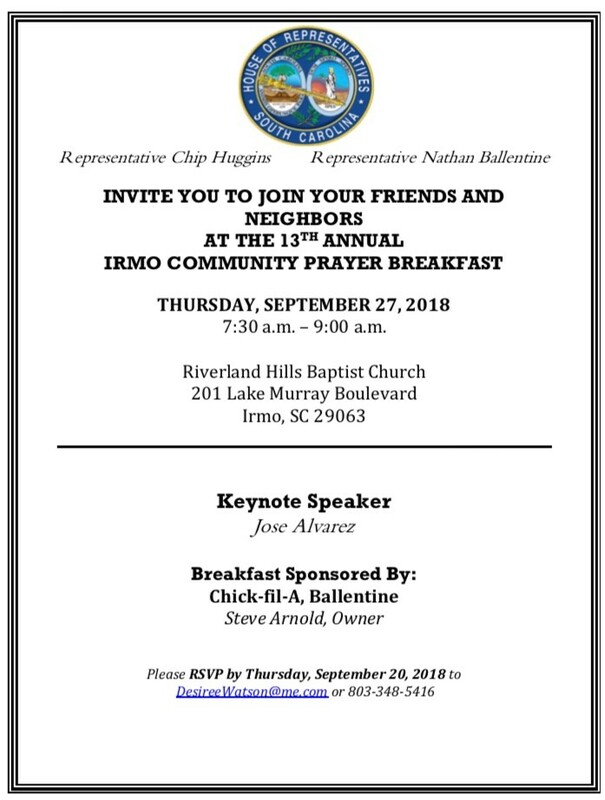 Chip and I refer to this event as the “unofficial kickoff to the Irmo Okra Strut!” What started years ago at Riverland Hills Baptist is now back again at the same location! This event is FREE to attend thanks to the support of our sponsors (who reserve tables) every year! We’re always looking for more sponsors. You’d be surprised how inexpensive it is to support this event and our community! For information/videos/programs/speakers of past breakfasts, click here .